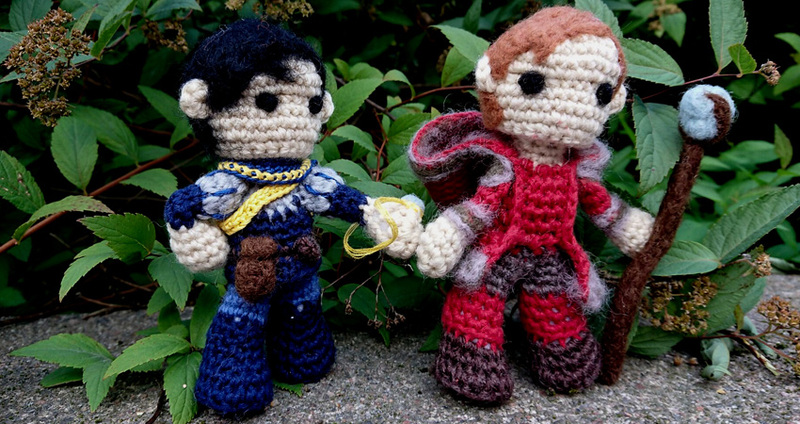 These lovely crochet wizards were made by one of our designers! As seen on Twitter and Facebook, our students, while adventuring amongst monsters and caves, have had some thoughtful and sometimes very insightful conversations. They’ve told stories about flowerbeds and peacocks, blushing and spell books, and even suggested methods on how to get friends. If you missed the conversations, or just seen a few during your own adventures, here is a few. Enjoy! These and the rest of the videos can be found on our Facebook playlist, or on Twitter. So, did you learn something new? Or found a favorite video? Ah, those are adorable! Love hearing the conversations too! There’s NO way I would be able to experience these in the game; I don’t have enough people who want to play it with me…I end up having to play solo. That, and there are simply too many wonderful conversations to have!